Western Sahara: Has Algeria Betrayed the Sahrawis Again? Home Opinion Op-Eds Western Sahara: Has Algeria Betrayed the Sahrawis Again? Washington DC - There is a strong feeling among Sahrawi refugees, Polisario’ s military and civilian officials, and pro-independence groups that Algerians started growing restless and annoyed with the presence of their Sahrawi “guests” on their soil. Has the Polisario overstayed the Boumediene welocome? Born in Kenitra, Morocco and based in Washington, Hassan Masiky (Hassan. Washington DC – There is a strong feeling among Sahrawi refugees, Polisario’ s military and civilian officials, and pro-independence groups that Algerians started growing restless and annoyed with the presence of their Sahrawi “guests” on their soil. Has the Polisario overstayed the Boumediene welocome? In an attempt to create a persistent security threat to destabilize its neighbor Morocco, the Algerian military promised in 1975 a small group of anti-colonial militiamen fighting Spain in the Western Sahara an independent state if they turn their arms on their brothers. Nearly forty years later, the Sahrawis are no closer to a homeland and Algiers policy of unconditional support of the Polisario separatists is in crumbling. 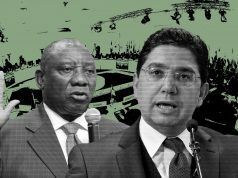 Not since the suspicious death of El-Ouali Mustapha Sayed, founder of the Polisario separatist movement, had Algerian officials felt confounded and jumbled in their management of the Western Sahara conflict. 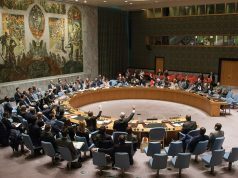 Last month’s decision of the Polisario to set up shop in the U.N. controlled zone separating Morocco and Algeria raised military tensions in this corner of North Africa and revealed the failure of Algeria’s strategy to push for a self-determination referendum in the region as the only viable solution to the conflict. When analyzing the latest U.N. reports on the Western Sahara, it becomes abundantly evident that a referendum is problematic and independence is unviable. As such, the Sahrawi leadership in Tindouf must ask the Algerian authorities to allow the thousands of Sahrawi civilians and hundreds of armed men warehoused in the Algerian deserts resettle wherever they choose before it is too late. Recently, the pro-Polisario press in Tindouf and Algiers started a campaign to thank the Algerian government, military and people of their ongoing “support” of the Sahrawi “cause.” This was a reaction to the indifferent coverage in the Algerian media of recent setbacks suffered by the Polisario at the United Nations and the European Union. The assassination of El-Ouali in 1976, allegedly on the orders of the late Algerian President Boumediene, was Algeria’s first betrayal of its commitment to the thousands of Sahrawis who were promised independence. El-Ouali, who before his death started to doubt Algeria’s true intentions and its long-term dogma in the region, had to be neutralized. Today, as Algeria faces unprecedented political and economic decline, Sahrawi refugees and their armed guerrilla are becoming a political and economic liability for the ruling elite. Some pro-independence Sahrawis in Algeria and Morocco are sensing a new betrayal in the works. 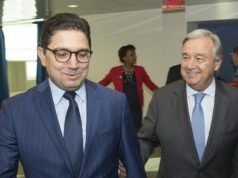 In fact, Polisario’s incursions in the UN-patrolled buffer zones is a cry for help and an attempt by the Polisario to put their Algerian sponsors in front of their responsibilities. The Polisario, which has fought a guerrilla war against Morocco in the same zone, has maintained a symbolic presence in the area of Bir-Lahlou hoping to make it their “capital” one day. Thus, the guerrilla was hoping for a more robust support from the Algerians when they decided to move into the buffer zone. 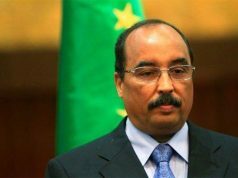 To the contrary, Algiers’s meek response to Rabat’s “provocations” sent the chills down the spine of many in the Polisario leadership. 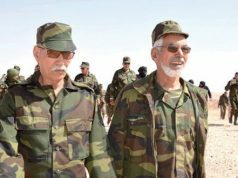 The Tindouf separatists fear the impact of Algeria’s current political impasse on the North African nation’s engagement to support the “independence” agenda. Polisario leaders are sensing a cooling in their relations with high-ranking Algerian military officials who are more concerned about the future of their nation under a disabled ailing president. Furthermore, current geopolitical realignments in Europe left Algiers isolated. Spain, a major supporter of the Polisario outside the left wing Latin American governments, moved quietly to back Morocco and France has openly supported the Kingdom in its calls for a military intervention in the Western Sahara to stop Polisario violations. However, there is a new and vibrant Sahrawi youth movement in the Tindouf camps in Algeria where thousands of refugees has lingered since 1975 hoping to go back to their homes in Morocco one day. For these young Sahrawis, Algeria has become the actual impediment to their dreams and hopes of a normal life. With no prospect to achieve independence for the foreseeable future, the Sahrawis in Tindouf need to increase pressure on the Algerians to either engage Morocco in direct negations on the future of the Western Sahara and the demarcation of the Morocco-Algeria borders. If not, the DRS (Algeria’s notorious military intelligence agency) should let the Polisario leadership negotiate with the Kingdom without interference. For its part, the Moroccan government needs to do more to convince the world community of the fact that Algeria’s involvement has severely limited the UN ability to resolve the Western Sahara conflict. The continued Algerian support for the Polisario are the only reason the conflict is still raging and the likelihood of renewed armed hostilities is always real.